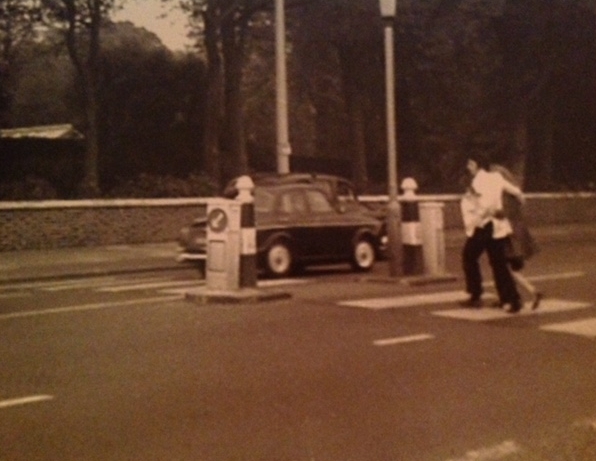 Much thanks to Annette for sharing this photos she snapped of Paul and Jane running to catch a cab in 1968. Great snaps Annette and much thanks for sharing them with us! 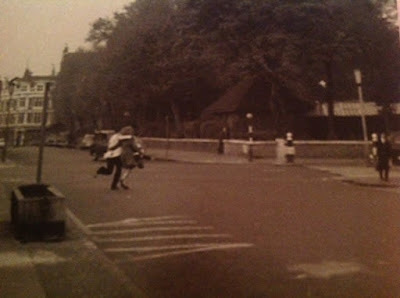 Beautiful photographs - looks like the junction of Wellington Place/Wellington Road with St John's Wood Church Gardens in the foreground. Can anyone put a precise date to these? Yes, that is where the pics were taken. I took these photos which go with the 2 photos where Paul and Jane were signing my Beatle Monthly.these 2 photos are on this meetthebeatlesforreal.com . I don’t have the date except it was 1968. Because they signed my Beatle Monthly I didn’t put a date of when I got the signatures. Unfortunately, my beatles Monthly is now lost. 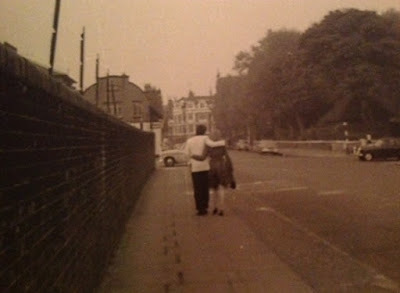 I lived close by in Maida Vale and saw The Beatles come and go. Will try and add more photos. Annette. Ahh, they are Annette's wonderful photographs from 31st May, 1968. Thank you Annette! Thank you to Annette and thanks to you Sara as well for sharing them!!! It doesn't look like a cab to me. No, that wasn’t the cab, obviously, a cab was coming, you can’t see it well. They were running for it. What are you suggesting? I can see a cab. You are not looking properly.! Thx Annette!!!! Great pics!!!! LOVE!!!!!!! I bet those roads have changed a lot now. For a start, more cars.